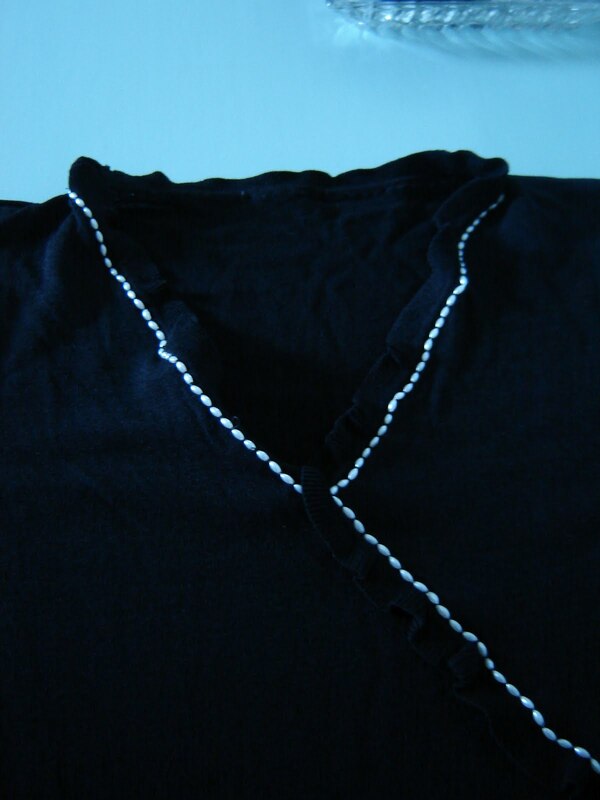 I took this plain black sweater with a ruffle detail and restyled it using a rope of pearl beads all the way round the ruffle edge. 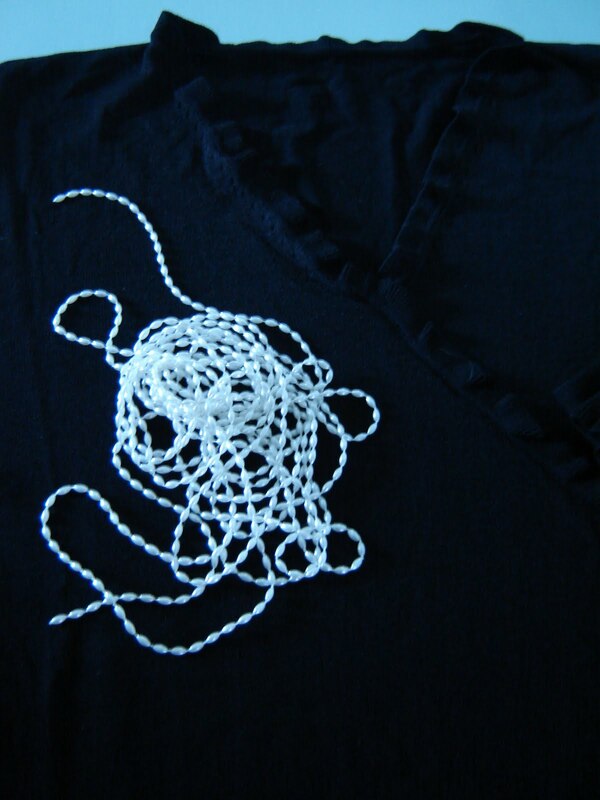 Use plain black thread and sew around the end of each bead. Takes about 35 minutes! Wear it tonight!